Soccer is the most popular sport around the globe and it is the fastest growing team sport in the United States. Unfortunately, up to 25% of athletes participating in soccer will sustain an injury. 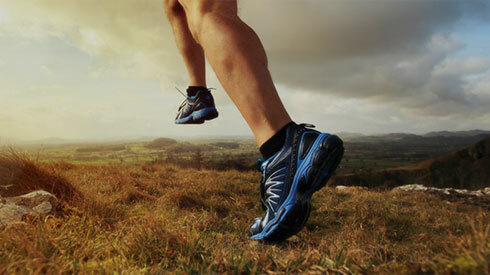 Most of these are “overuse” injuries such as shin splints, tendonitis, stress fractures, etc. that typically will get better with rest. Contusions, or bruises, are also common. They can result from impact with the ball or contact with another athlete and rarely lead to significant problems. As we move into the heart of the school soccer season here in Colorado there are, however, more serious injuries to be aware of that can require urgent attention. Participation in soccer, as with any team sport, can lead to various cuts, scrapes, poked eyes, bloody noses, chipped teeth, etc. However, as we learn more about head trauma, the concern for concussion has dramatically increased in recent years. New research suggests that concussions at early ages may lead to further consequences later in life. Concussions do not always come with loss of consciousness in fact, many do not. Any “altered mental status” in an athlete after head contact or other injury is considered a concussion and should ALWAYS be evaluated by a physician. Sometimes a concussion can present simply as any of the following – some mild nausea, headache, lack of focus or sharpness, confusion, sleepiness or fatigue, among other symptoms. Colorado State Law prohibits athletes who have sustained a concussion from returning to sports without clearance by a healthcare professional. It is encouraged to see a sports medicine physician who specializes in concussion management for the most up-to-date assessment and return to play criteria. Proper care is extremely important as a repeat concussion, termed the “Second Impact Syndrome”, can have devastating long term effects and can be fatal. Most injuries in soccer occur at or near the ankle joint and ankle sprains are the most common. Ankle sprains can result in a significant degree of pain and swelling around the ankle, usually more so on the outside of the ankle as opposed to the inside. Purple and blue discoloration may be present which indicates damage to the ankle ligaments. Many physicians in the emergency department or the primary care or urgent care settings use the “Ottawa Rules” in determining if these ankle injuries require x-rays. These rules basically state that if there is bone tenderness on the outer prominence or ball (lateral malleolus) or inner prominence or ball (medial malleolus) of the ankle or if the patient is unable to bear weight on the ankle for 4 steps immediately after the injury or in the physician office then the patient requires x-rays to rule out an ankle fracture. Most ankle sprains in younger athletes will heal enough to allow the athlete to return to sports within a couple weeks. Initial care with RICE treatment (Rest, Ice, Compression & Elevation) is recommended. Return to sport may be expedited with more specific treatments including physical therapy, bracing and medications. Many ankle sprains go undertreated in the US. The continued stiffness, weakness and instability can result in prolonged pain, recurrent swelling and overall poor sports performance. Usually this will require a formal rehabilitation program and very rarely surgical intervention. Ankle fractures can also occur in young athletes playing soccer. The ankle is sometimes vulnerable, especially in the age group of 10-15 years old, because of closing growth plates. These growth plates are the weak point in the skeleton and can fracture much more easily than other bone. Fractures can look very similar to ankle sprains in many cases but, as suggested by the Ottawa Rules, athletes typically have more difficulty bearing weight on the ankle and have more direct bone tenderness. Many fractures in young athletes can be treated non-operatively with casting or a fracture boot. If displacement, or movement, of the fracture is present then surgery is often needed to restore the normal alignment of the ankle and preserve future function for the young athlete. 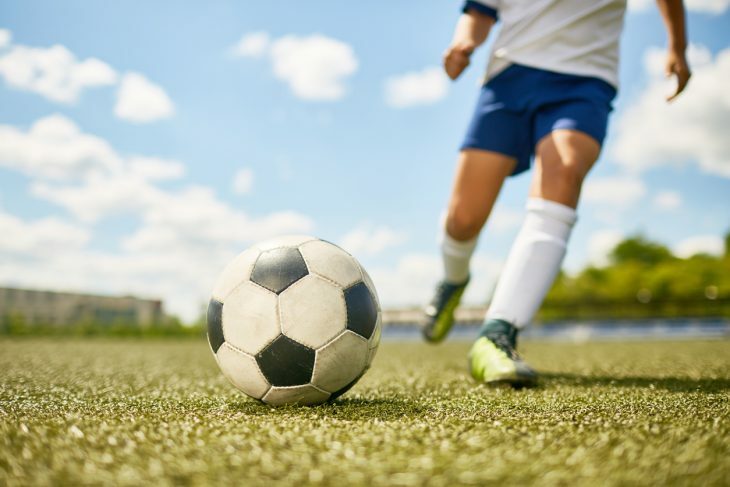 Soccer is one of the leading causes of knee injuries among high school athletes and unfortunately some of these injuries will require surgical intervention. Knee injuries that result in swelling, inability to bear weight or difficulty bending or straightening the knee require urgent physician evaluation. Anterior cruciate ligament (ACL) tears are the most common knee injuries in young soccer athletes. Females are more vulnerable with tear rates as high as 8x those of their male counterparts. ACL tears are most likely to occur with a sudden change of direction or pivoting on the knee rather than with contact from another player. Athletes will often hear or feel a “pop” and there is typically immediate swelling of the knee. If left untreated the swelling may resolve in a couple weeks but athletes are still unable to return to their normal level of performance. They usually feel unstable on the knee as the knee continues to give out or “buckle” with sports activities. ACL tears typically do not heal in young athletes and therefore are treated with surgical intervention to reconstruct the ACL and restore stability to the knee. Surgery can be very successful in enabling the athlete to return to their previous level of performance but most athletes will need at least 6-12 months to return to sport and sometimes even longer to feel they are back to “normal”. Meniscal tears also can occur either in isolation or at the time of an ACL tear. The meniscus is an important cushioning pad in the knee and distributes weight bearing forces evenly throughout the joint. How the athlete is affected depends on the size and pattern of the tear. With smaller tears the athlete may continue to play through some minor pain on the inside or outside of his or her knee. They may sometimes feel a clicking sensation and it typically is worse with deep squatting and pivoting maneuvers. Sometimes with larger tears the athlete may have a locked knee and have an inability to fully bend or straighten the knee. Meniscal injuries in young athletes often require surgery with the goal of restoring the function of the meniscus and enabling it to continue to protect the knee into adulthood. There are other less common knee injuries that can sometimes be difficult to differentiate from ACL or meniscal tears. These include medial collateral ligament (MCL) sprains, patella dislocations, fractures, cartilage injuries, among others. Given that many of these injuries may require surgical intervention all knee injuries should be approached with caution and a low threshold for evaluation by an orthopedic expert. To prevent serious injury to the knees or ankles during the course of play, the best thing you can do is to cross train your entire body throughout the season – this should especially include training the hip, thigh, and core muscles to help support the body through the typical high acceleration/deceleration and rotational movements that are so common in soccer. 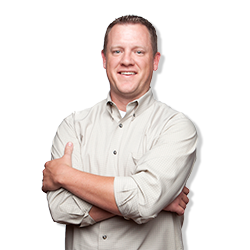 Dr. Todd Wente is a Sports Medicine Expert at Panorama Orthopedics & Spine Center in Castle Rock.